One of the things that I get the biggest kick out of is becoming totally infatuated with a star I had never really gotten past the friends stage with. When you watch a LOT of classic movies, it tends to happen. As I’ve often said on this blog, one of the problems for me is that I tend to watch movies staring my absolute favorites… so I often miss stars that would easily become favorites if I simply gave them a chance! True to form, I watched Dr. Jekyll and Mr. Hyde (1941) because it starred a personal favorite (Lana Turner – who is also wonderful in this movie). I expected to love Lana – after all, I’ve always loved Lana! – but I didn’t expect for another star to steal the movie right out from under her! 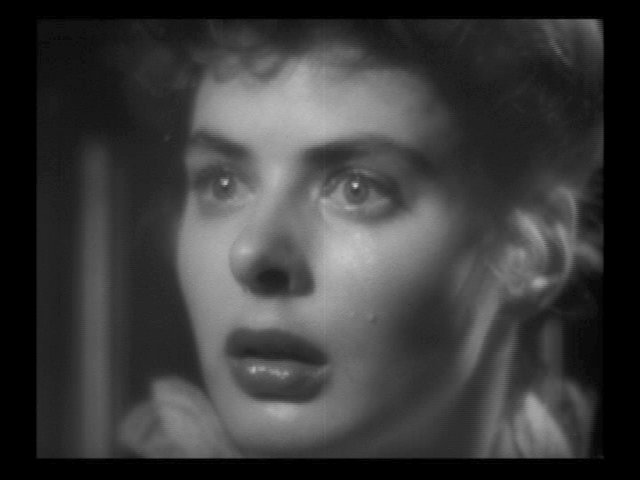 Ingrid Bergman stars as Ivy in the movie and every single second she’s on the screen is magical. She absolutely takes your breath away – and you don’t mind it a bit. Playfulness, fear, flirtation, heartache… she squeezes all that can be squeezed from each emotion and then some. In short, it’s just a joy to behold. It’s performances like this that remind us why we love movies as much as we do – especially the classic ones because they have the best stories to tell and, in my opinion, tell them best. The 1941 version of Dr. Jekyll and Mr. Hyde isn’t, if I’m being honest, the most handsome soldier in line. Is it good? Yes. Great? Well… that’s a tough one. 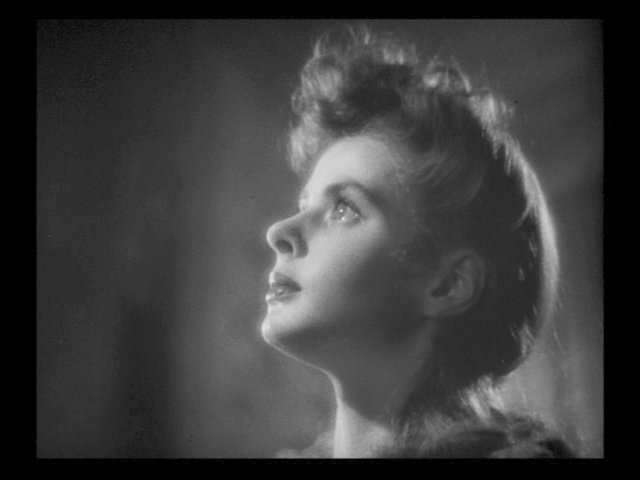 Ingrid Bergman (Ivy) and Lana Turner (Beatrix) are great. They’re wonderful, make no mistake about it. The story is also great. That’s why it consistently stands the test of time. Everyone will always know and talk about Dr. Jekyll and Mr. Hyde. So what keeps me from calling the movie, itself, great? I hate to say anything negative about a wonderful actor that I think the world of (Spencer Tracy), but his portrayal of Mr. Hyde is pretty distracting. The makeup – over the top. The expressions – over the top. Naturally, these are only my opinions but if someone had reigned him and the makeup department in a bit, this would have been (without question) a great movie. Oddly enough, Spencer is fantastic as Dr. Jekyll. He’s the charming, wonderful, warm actor we all know and love. Then comes that cursed, creepy Dr. Hyde! Having said all of this, it is most definitely a movie worth watching. The performance of the two actresses, alone, should make this a movie you either watch or re-watch right away. 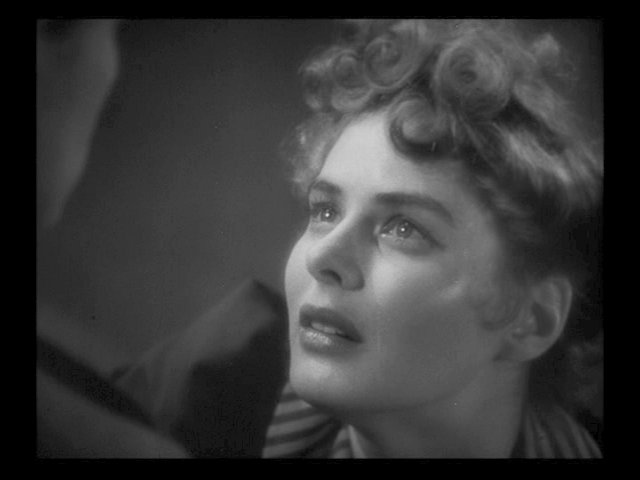 Now, if you’ll excuse me, I have some (Ingrid Bergman DVDs) shopping to do on Amazon!